Everyone wants to do work in short way, absolutely using mouse is take long time than the using keyboard shortcut keys. Here i am try to share some of my shortcut keys. 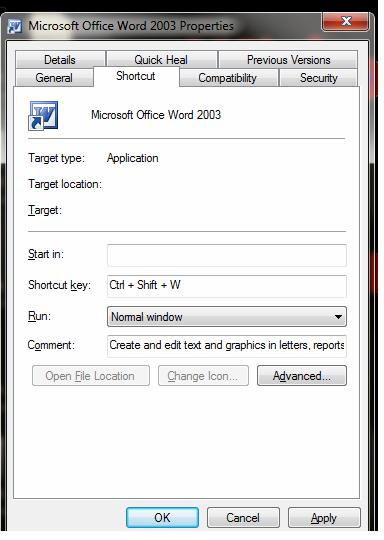 You can make shortcut key to open any desktop application. Right click on desktop application.